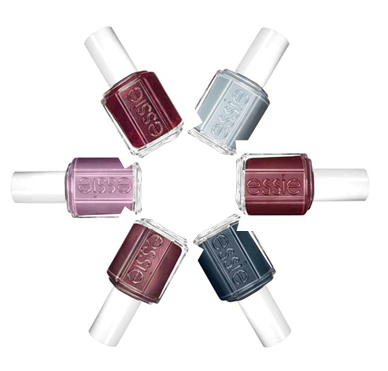 An exciting little email pinged into my inbox this afternoon giving me a first glimpse of the Essie Winter Warmers collection which is launching January 2014. The set is made up from 6 pretty, yet very contrasting shades of deep reds and soft pastel blues. A real refreshing change from your classic winter ranges.